If you’re interested in beauty treatments and keep up to date with the most modern, the most exciting and the most effective options available in salons and aestheticians, you may be curious about cosmetic injections. What gets injected? Is it painful? And is it the right option for you? Today we’re taking a look at this kind of treatment to help shed a bit of light on what’s involved, what sort of issues it’s a good solution for and to help you decide if it’s time for you to book in! 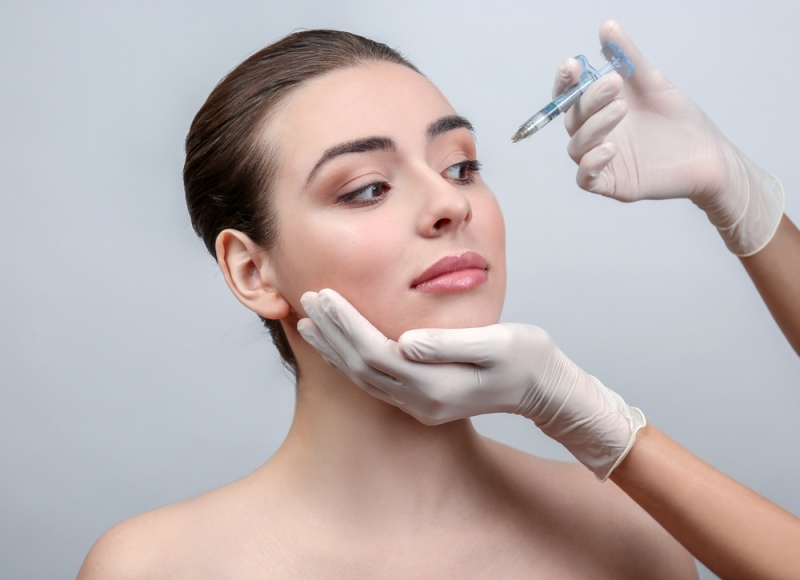 There are two main types of injectable cosmetic treatments, and they do very different things to your face. A cosmetic injection is not just a treatment being injected under your skin, and you need to know exactly what’s on offer before you make a choice. Today we’re looking at one of the most widespread and popular kinds of this treatment: dermal fillers. A dermal filler is a treatment that’s injected under the skin to fill out lines and wrinkles, and gives you the appearance of firmer, younger skin. There are several different options for what exactly can be injected as a filler, so you can pick one that fits your needs and budget. Some dermal fillers are natural substances already used in the body, while others are manufactured for the purpose. Both aim to produce a natural looking youthfulness, with a natural feel. Collagen is one of the most common materials used as a dermal filler: it has the advantage of being the substance your body uses to keep your skin looking young and healthy anyway. Unfortunately, collagen degrades over time – it’s why your skin becomes wrinkly to begin with, so reinjecting it is a temporary measure. A collagen injection lasts for around three months before degrading and leaving you in need of another treatment. Other types of filler, like polymethylmethacrylate beads (normally known as PMMA), have permanent effects, but these are more expensive and come with their own risks, like the filler moving over time, which could require surgery to correct. Many people, though, find they are happy with the results, especially if they opt for a temporary treatment so they see the effects of a dermal filler on their skin before deciding whether they want it permanently in place. One of the things that makes people hesitant about dermal fillers is the worry that it could be a painful process! Fortunately, other than the prick of the injection itself, it feels more uncomfortable than painful. For the 24 hours after your treatment, the area may feel tender and swollen, but as long as you avoid hot drinks and excessive sunshine, don’t rub or massage the affected area and steer clear or both alcoholic drinks and strenuous exercise, it will heal remarkably quickly, leaving you feeling great and looking even better!